Janelle joined Metrum in June 2012, working on Metrum’s METAMODLTM library of public source data and disease models as well as contributing to scientific writing. She left Metrum Research Group in 2015 to pursue her Ph.D. in Biomedical Engineering through the University of Connecticut (UConn) with support and academic advisement from Metrum Institute. Janelle re-joined Metrum Research Group in Septemeber of 2017 to work as a modeling scientist while continuing to finish her Ph.D. Her dissertation research is in disease progression modeling for a rare pediatric disease, Duchenne Muscular Dystrophy (DMD). 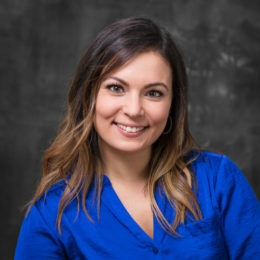 Her goals include building a disease progression model fit to all publically available natural history data of boys with DMD, and using the model to simulate unique clinical trials. A simulation tool to explore clinical trials in this rare disease is very useful in advancing drug development in this therapeutic area where efficacy trials have shown difficulty in their success. Janelle aims to defend her thesis in the early spring and graduate from UConn in May 2018. Hajjar J. Poster presented at 2018 American Conference on Pharmacometrics (ACoP9). San Diego, CA. 9 Oct 2018. Abstract #T-011. Hajjar J. Poster presented at 2018 Annual Meeting of the American College of Clinical Pharmacology. Bethesda, MD. 23 Sep 2018. Hajjar J, French JL, Gastonguay MR. Presented at the 7th American Conference on Pharmacometrics (ACoP), Bellevue, WA; October 2016.